Croaticum publishes textbooks, workbooks and other useful materials for learning Croatian as a second and foreign language at different levels according to the Common European Framework of Reference for Languages, as well as textbooks about Croatia and Croatian culture. 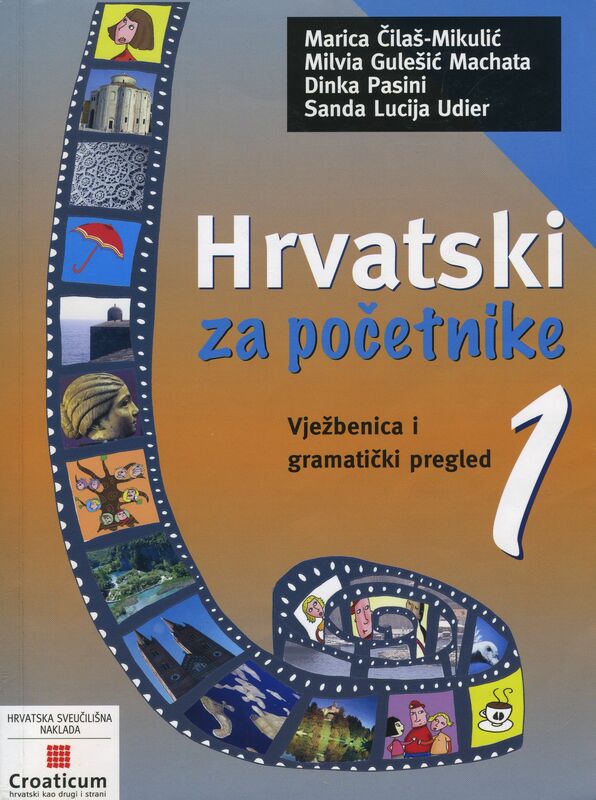 Hrvatski za početnike 1: Udžbenik i rječnik (A1 i A2) is a textbook designed for teaching and practising Croatian at levels A1 and A2 of the Common European Framework of Reference for Languages. It contains twenty units with dialogues and texts, comprehension tasks, conversation exercises, grammatical explanations and exercises, cultural information, etc. 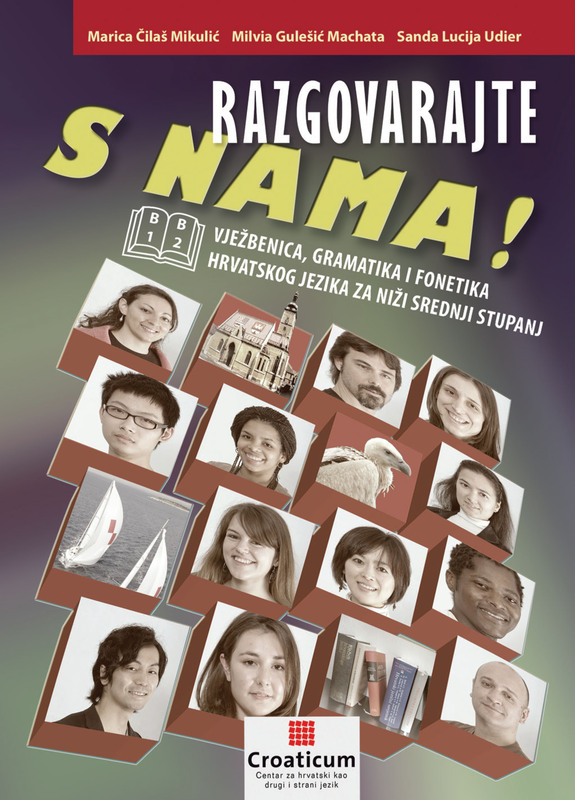 Hrvatski za početnike 1: Vježbenica i gramatički pregled (A1 i A2) is designed for teaching and practising grammatical structures, vocabulary and pronunciation of the Croatian language and developing writing skills in Croatian at levels A1 and A2 of the Common European Framework of Reference for Languages. Razgovarajte s nama! Udžbenik hrvatskog jezika za više početnike (A2–B1) is designed for teaching and practising Croatian at levels A2 and B1 of the Common European Framework of Reference for Languages. It contains ten units with dialogues and texts, comprehension tasks, conversation exercises, etc. It also contains a Croatian-English dictionary and a glossary of idioms used in the textbook. Razgovarajte s nama! Vježbenica, gramatika i fonetika hrvatskog jezika za više početnike A2–B1 is designed for teaching and practising grammatical structures, vocabulary and pronunciation, and developing writing skills in Croatian at levels A2 and B1. Razgovarajte s nama! Udžbenik hrvatskog jezika za niži srednji stupanj (B1–B2) is designed for levels B1-B2 of the Common European Framework of Reference for Languages. It contains ten units with dialogues and texts, comprehension tasks, conversation exercises, etc. It also contains a Croatian-English dictionary and a glossary of idioms used in the textbook. Razgovarajte s nama! Vježbenica, gramatika i fonetika hrvatskog jezika za niži srednji stupanj is designed for teaching and practising grammatical structures, vocabulary and pronunciation, and developing writing skills in Croatian at levels B1–B2. Razgovarajte s nama! Udžbenik hrvatskoga kao drugoga i stranoga jezika za razinu B2 is designed for students at level B2 of the Common European Framework of Reference for Languages. It contains twelve units with dialogues and texts, comprehension tasks, conversation exercises, grammatical explanations, cultural information, etc. Razgovarajte s nama! Vježbenica i zvučna vježbenica hrvatskoga kao drugoga i stranoga jezika za razinu B2 is designed for teaching and practising grammatical structures, vocabulary and pronunciation of the Croatian language and developing writing skills in Croatian at B2 level. 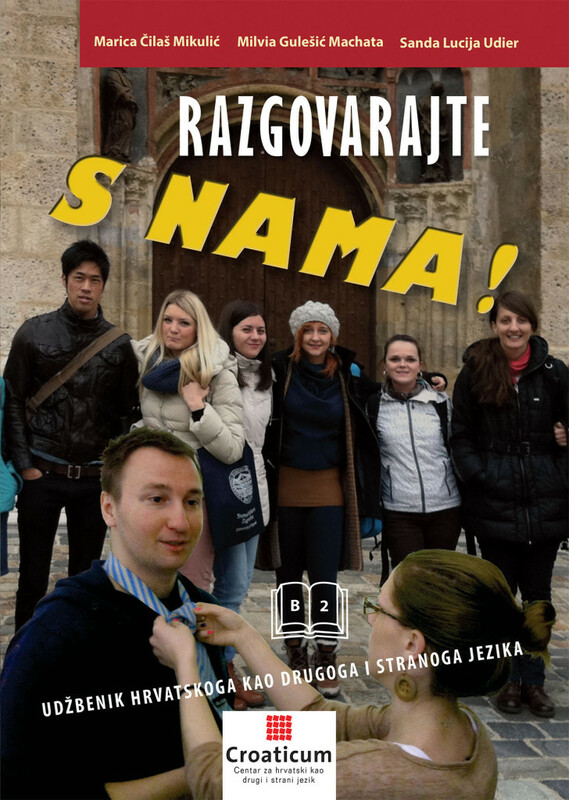 Razgovarajte s nama! Udžbenik hrvatskoga kao drugoga i stranoga jezika za razine B2–C1 is designed for developing listening, reading, speaking and writing skills in Croatian for levels B2 and C1. Vježbenica Razgovarajte s nama! 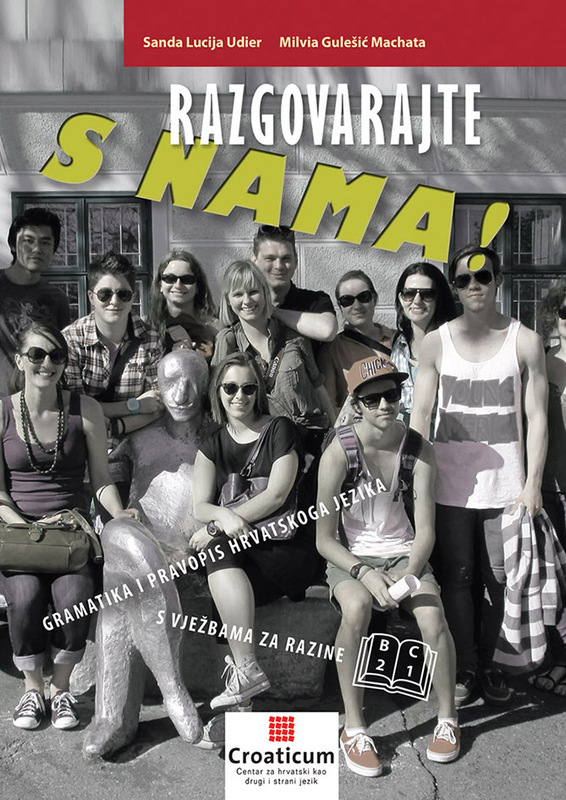 Gramatika i pravopis hrvatskoga jezika s vježbama za razine B2–C1 is a workbook designed for teaching and practising grammatical structures and vocabulary, and developing writing skills in Croatian at B2 and C1 levels. Hrvatska na prvi pogled – Udžbenik hrvatske kulture is designed for international students of Croatian studies, Slavic studies, history, international relations and similar disciplines. It is a propaedeutic, introductory textbook with ten authored texts, each dealing with one segment of Croatian culture. 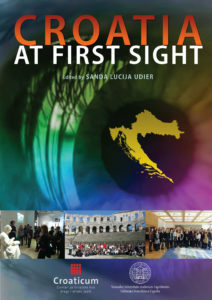 Each chapter is an author’s original selection with an overview of the main facts on a particular segment of Croatian culture and their interpretation. An overview of the contents is available here. 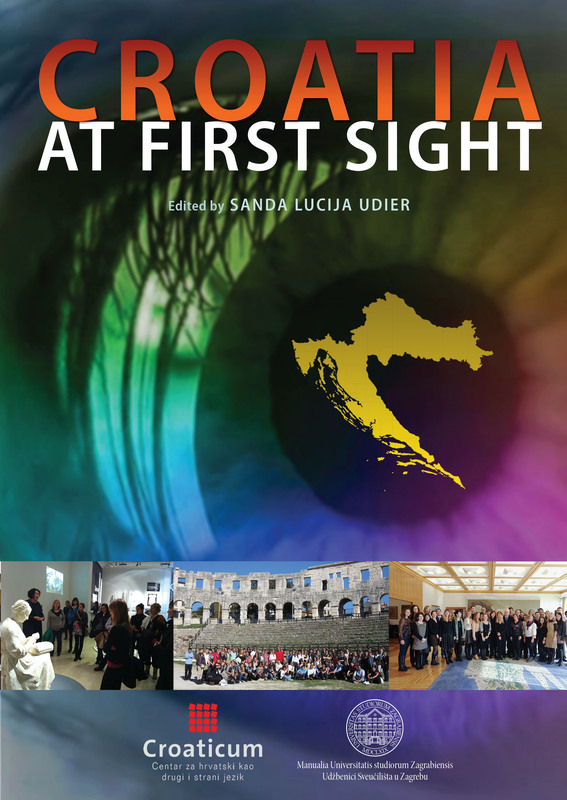 Croatia at First Sight – Textbook of Croatian Culture is designed for international students of Croatian studies, Slavic studies, history, international relations and similar disciplines. It is a propaedeutic, introductory textbook with ten authored texts, each dealing with one segment of Croatian culture. 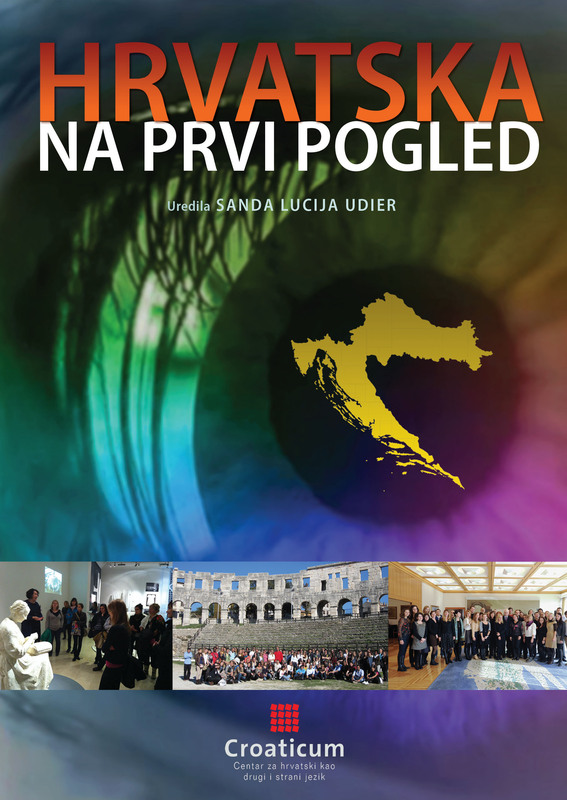 Each chapter is an author’s original selection with an overview of the main facts on a particular segment of Croatian culture and their interpretation. An overview of the contents is available here. Šegrt Hlapić za razinu B1 is the first adaptation of an entire literary text for Croatian as a second and foreign language. It is a specialised manual aimed at developing reading skills at level B1 of the Common European Framework of Reference for Languages. The morphology, syntax, lexis and orthography of the original text have been adapted to level B1, while those words that have been retained in the adaptation, even though they are unknown to speakers at this level, have been translated into English on the margins.